How to Connect an I²C Device to the Robo TX? How to Connect an I²C Device to the Robotics TXT? How to Manage an I²C Device? How to Use an I²C Driver? 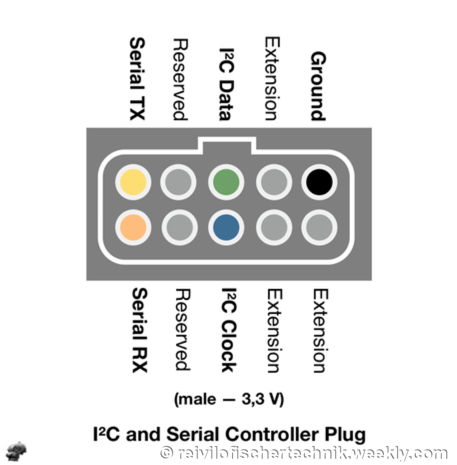 fischertechnik Robotics TXT controller has one extension port, EXT. 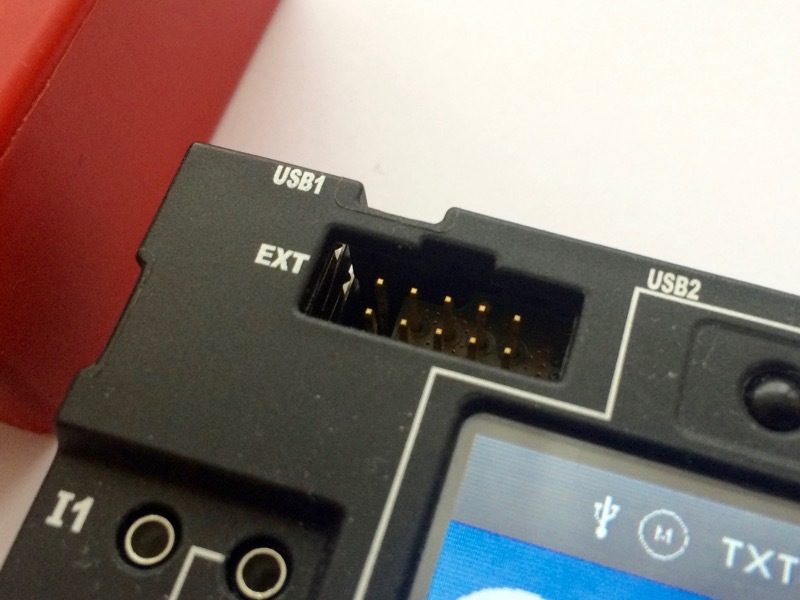 This port operates at 3.3 V level. Contrary to what has been posted in the ft:c forum, video and even issue 2015-4 of ft-pedia, pin 9 of the extension port does not provide +3.3V power supply. ​Do not use pin 9 as 3.3 V source. I²C only defines a bus protocol, nothing more. Each I²C device is different: it may require 5 V or 3,3 V or even 1,8 V, runs at 100 or 400 kHz, and brings its own specific command set. Before using any I²C device, read the specification sheet and the application notes very carefully! Otherwise, the I²C device and even the Robotics TXT controller may be damaged irremediably. 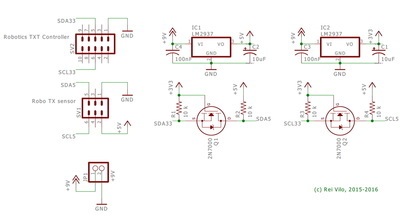 How to power the sensor with 3.3 V? 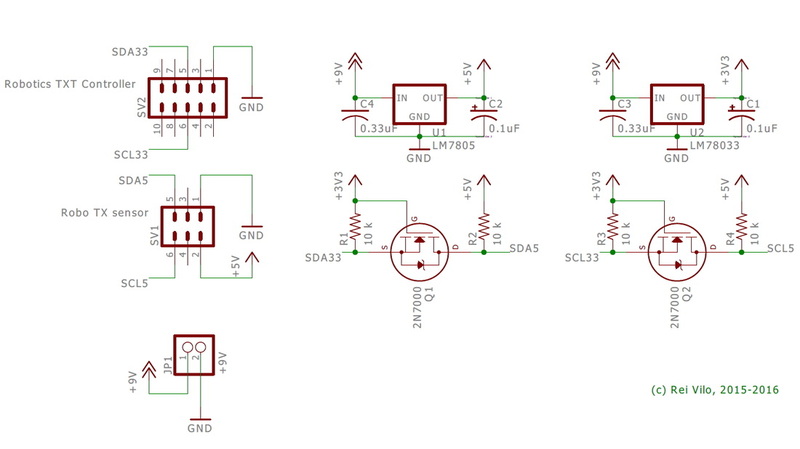 There's no special difficulty in assembling a separate 3.3 V power line with a LM2937-3.3 or LM1117-3.3, or similar based on the estimated power consumption of the devices. The unregulated input is connected to the +9V output of the Robotics TXT, and so does Ground to Ground. Some of the I²C devices I've developed libraries for, like the AMIS-30624 stepper controller or the 4 lines x 20 characters LCD display, run at 5 V.
​The circuit requires dual regulators for 3.3 V and 5 V power lines, and MOSFETs or PCA9306 to step-up I²C signals from 3.3 V to 5 V. Please refer to the different I²C Logic Level Converter options and the official Level shifting techniques in I2C-bus design application note from NXP. 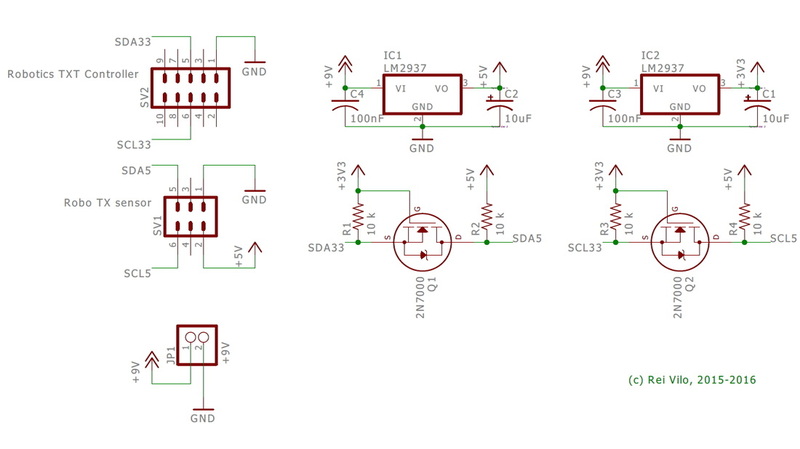 ​Some voltage regulators require a minimum power usage to ensure good stability. In such a case, just place a LED with a limiting resistor on the 3.3 V power rail. 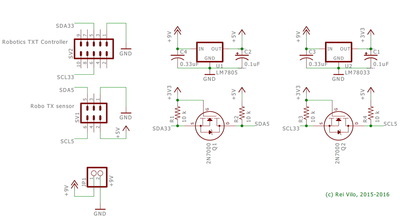 The two circuits on the right combine the solutions mentioned above. The schematics supplied are for illustrative purpose only. ​Please read the specification sheets carefully and check the voltage and current requirements. Otherwise, the I²C device and even the Robotics TXT controller may be damaged irremediably. Although the Robotics TXT controller supports I²C clock stretching, one slave I²C device can no longer drive the clock line low in a MultiMaster configuration, as it was possible with the previous generation RoboTX controller. Similarly, RoboPro 4.2.4 doesn't configure the I²C mode properly on the Robotics TXT controller. Even if standard mode (100 kHz) is selected, the controller runs in fast mode (400 kHz). Some I²C devices may not work if they don't support fast mode (400 kHz). Despite the two cores (MPU and MCU), the Robotics TXT controller doesn't support fast mode plus (1 MHz). Luckily, the RoboTX controller fully supports I²C fast mode (400 kHz). I do not recommend the logic level converter for I²C described in issue 2016-4 of ft-pedia, as it doesn't match with the Level shifting techniques in I2C-bus design application note from NXP. The circuit proposed on issue 2016-4 of ft-pedia doesn't match with the Level shifting techniques in I2C-bus design application note from NXP.